I've used this HF battery trickle charger for several years. Plug it in and forget it for weeks at a time. Very low and slow charge.rate. Then one day my battery, coil, and pertronics all fried at the same time while out on the road. The shop said never use a trickle charger for more than 6 hours a day. They said no one really knows why everything went out at once and the long term use of this charger was possibly the cause. Sometimes the car sits up to 2 weeks without driving it. If I pick up a new charger do you think it should it be used for just a few hours at a time? Will a different brand be better for our cars and how long should it be connected to the battery? If I don't use a trickle charger how long do I need to drive the car to top off the battery? I know many people who use trickle chargers on their cars, Porsche’s and other high end vehicles. Some with 20-50 cars in their collections. Never heard the issue that you had. If you want to leave it on all the time you need a smart charger. For winter storage I take all of my batteries out, summer cars, lawn tractor, boat, etc. and put them on a bench (never on concrete floor) and I charge them once a month at 2amps only. Someone who understands electronics (not me) can probably answer your question properly. 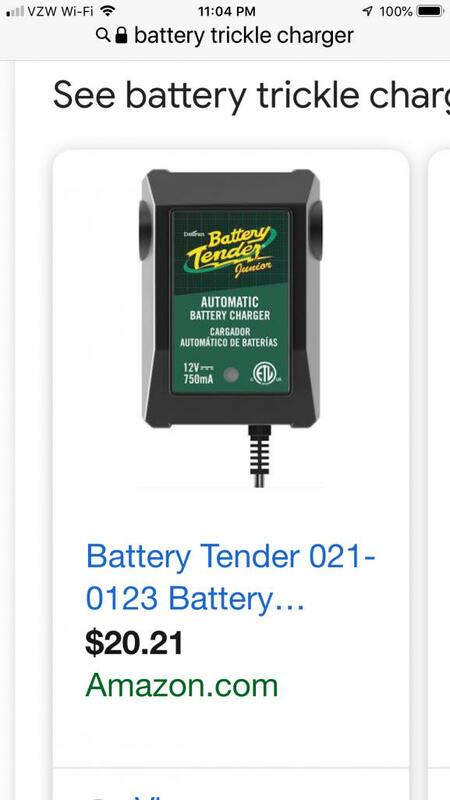 What is the difference in a Battery Tender and a Smart Charger? I used to use a Harbor Freight trickle charger until it cooked a battery. Switched to Battery Minder brand chargers and never looked back. Been using them for 10+ years and never had a problem. I leave them on long term but never 24/7/365 only because I have more batteries than chargers so I need to switch them around. I like the desulfation feature on them to extend battery life. The charger can't fry your coil, ignition since the key switch is off. It may damage the battery but only if the charger goes bad. And the type of damage to the battery will cause it to lose max voltage. 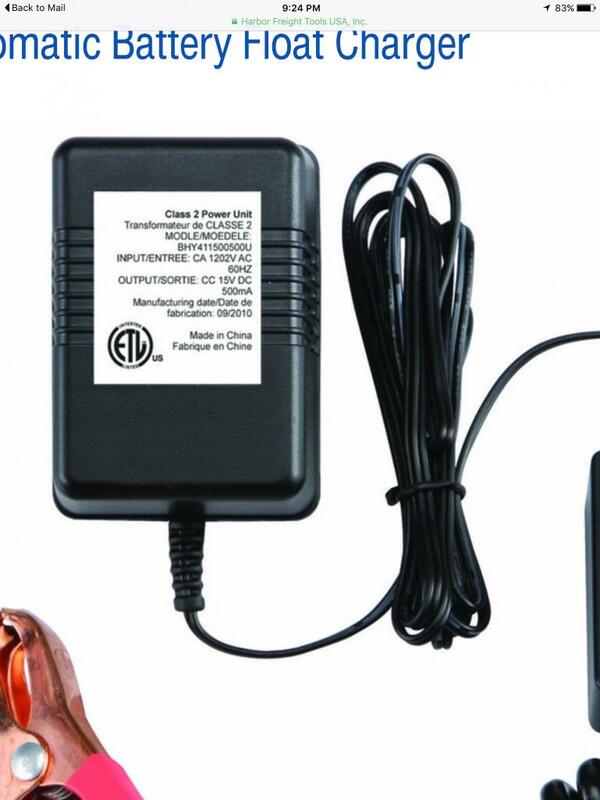 You might also consider CTEK smart trickle chargers. I have two of them and have been using them for years. They have settings for lead-acid and AGM batteries. I use a Porsche-branded CTEK (mostly on other cars) and it's great though pricey. These smart chargers automatically turn-off or cycle on/off when they detect the battery is all charged-up. CTEK - 7002 has modes for AGM and de-sulfication. Use mine plugged into the cig lighter socket. comes with battery connection. Only odd thing, the ends are not usual sae. but you can get an adapter. meh... I'll stick with my battery bench and charge them on a schedule. I keep several card on a multi-line smart battery tender, no problems. 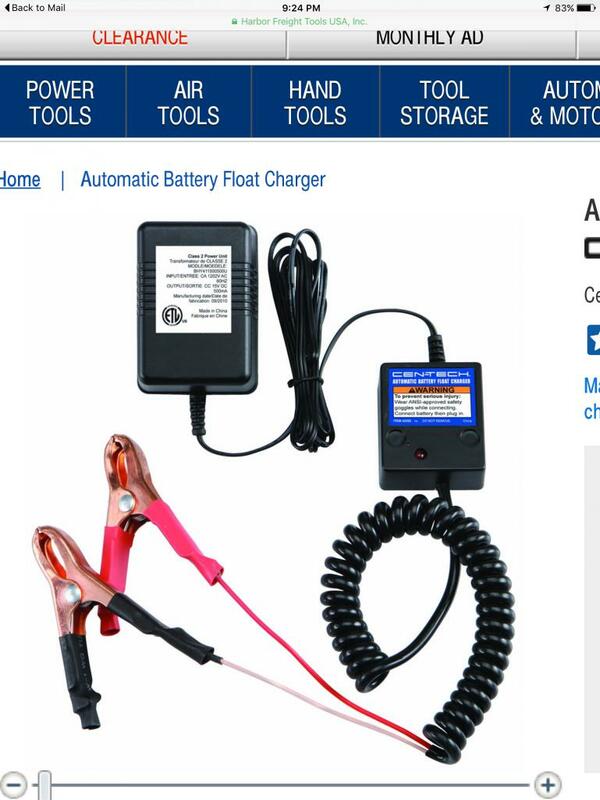 Harbor Freight charger ... I think you have your answer / culprit. 1. For long term storage with it continuously hooked-up, you'll need the type which has the "smart" system which senses when, what & how much the battery needs for recharging, as well as when to stop charging. This is true for both the plug-in & solar types. 2. HF mostly sells low end junky stuff prone to fail - which is why they only warranty their products for 90 days, unless you pay more for an extended warranty, in order for them to cover their added costs for inevitable returns. Anything more complicated the zip ties, tape or basic tools - get it elsewhere, or at least get their extended warranty if you must buy a "smart charger" there at your own risk. But remember that their warranty won't cover damage to anything else like your coil, etc.! I like the hook lets you hang it on the car and nice when stored 6v/12v it is used on my early vehicles too. If you're not using the car for 2 weeks at most, you shouldn't need a trickle charger. What's the age of your battery? Smart charger will charge till full, then shut off. It will monitor the battery and when it sees the battery go below a certain level, it will turn on and charge again. Constant charging will melt the lead and cause a short in the battery. X2, Battery Tender float chargers are very good, probably the most common model for large car collections.